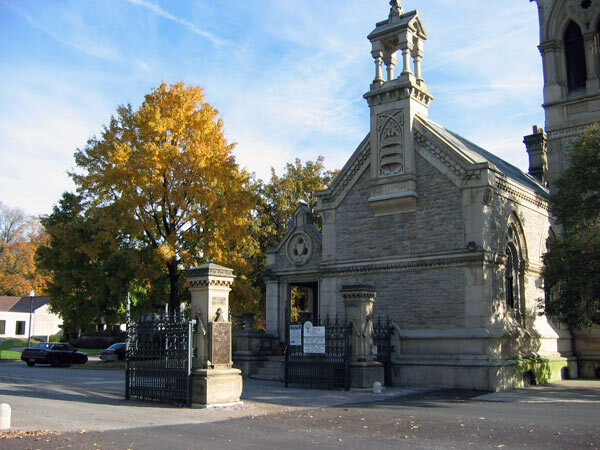 Founded in 1845 by the Cincinnati Horticultural Society as a non-profit, non-denominational cemetery, Spring Grove was envisioned as a rural cemetery. 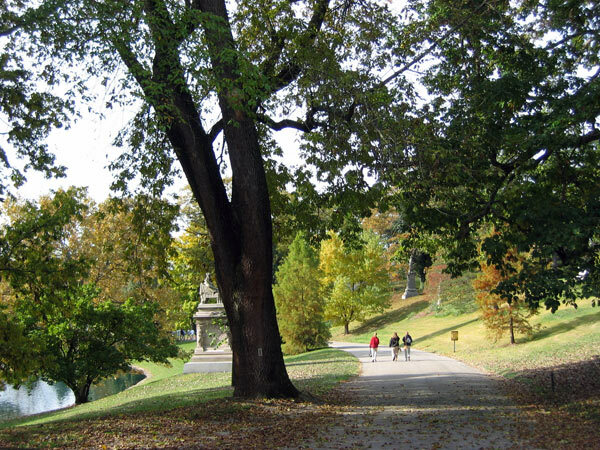 Landscape gardener Howard Daniels, who later assisted with the development of Llewellyn Park, in West Orange, New Jersey, was commissioned to develop the design. 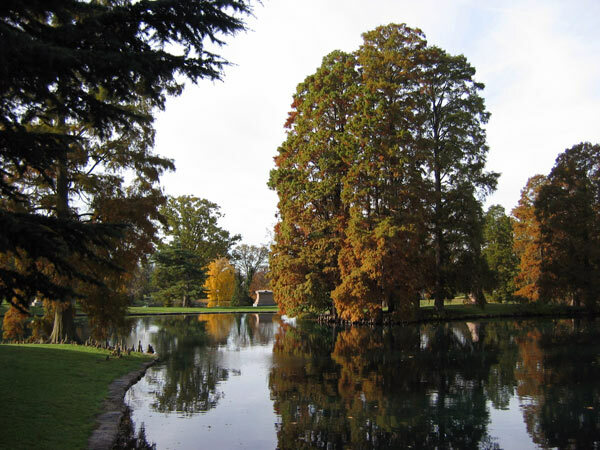 In 1855 Prussian horticulturist and landscape gardener Adolph Strauch was engaged to address the marshy front third of site. 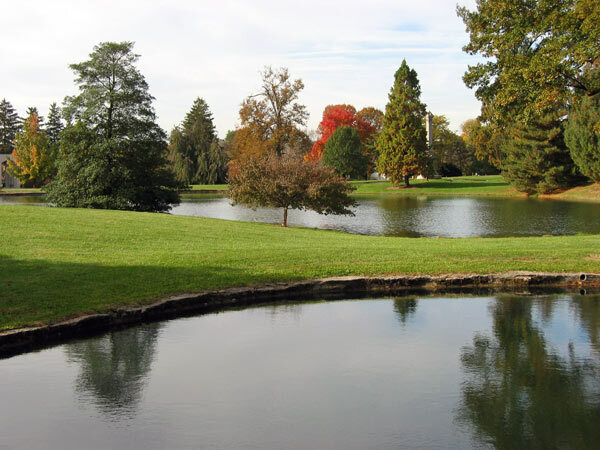 The centerpiece of his design was a series of connected lakes, draining the swampland and visually unifying the landscape and creating what he called a “landscape-lawn plan.” Strauch transformed Spring Grove, simplifying the clutter of roadways and monuments, creating a more spacious and harmonious expression of beauty in the landscape, a departure from the prevailing Picturesque style. He applied strict rules limiting monument heights to two feet and set limits on private enclosures and planting design, advocating consistency of design and maintenance under the direction of a superintendent. 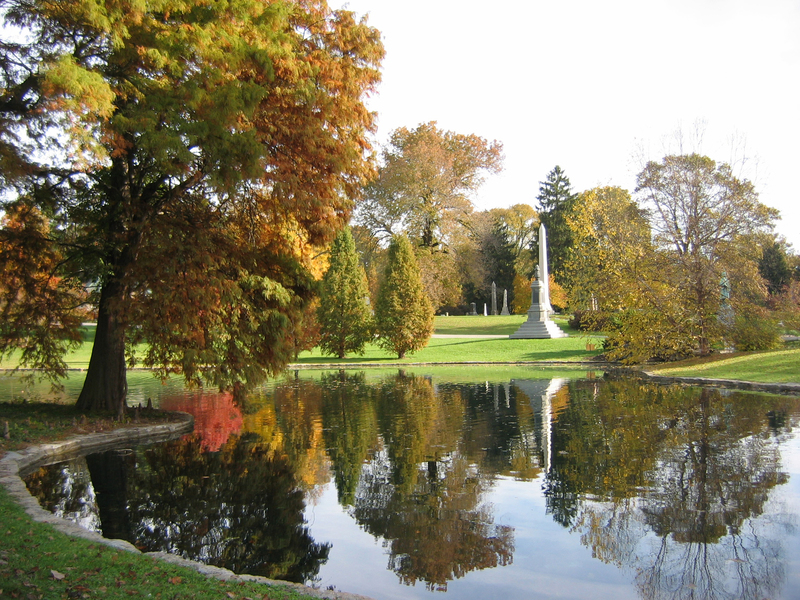 By the 1860s the 412-acre cemetery was reputed to be the largest cemetery in the world, and Strauch’s work had both established a new model in cemetery design, the Lawn-Park Cemetery, and new standards for professional management. 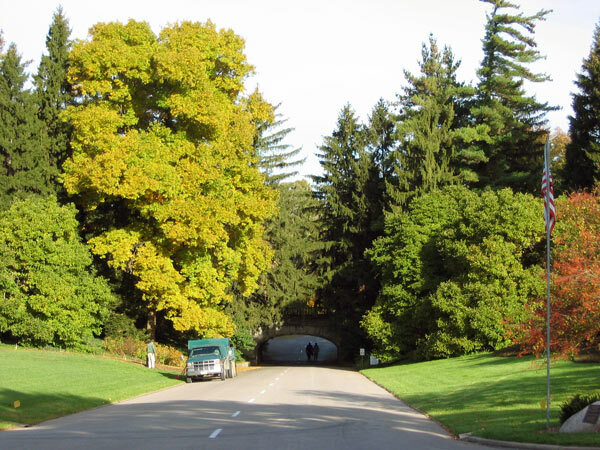 In 1987 Spring Grove officially changed its name to “Spring Grove Cemetery and Arboretum.” The 733-acre site was designated a National Historic Landmark in March 2007.